North Cronulla Beach lifeguard tower at sunset in black and white with a slow shutter taken with a Nikon D810 and 16-35mm Nikon wide angle lens. 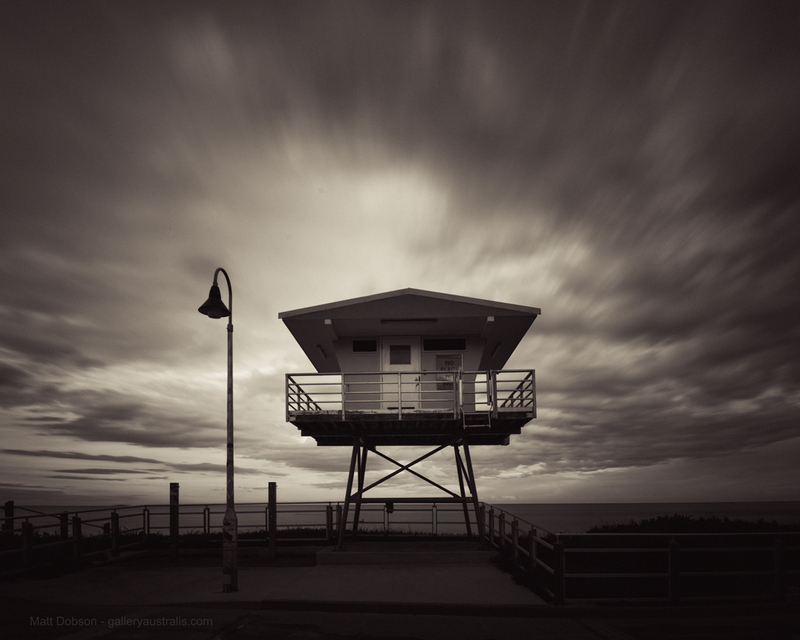 This photo of the North Cronulla Beach Beach lifeguard tower was taken at sunset with a slow shutter. I liked the photograph in colour but it didn’t grab me, I felt black and white enhanced the mood and drama in the clouds, lights and shadows for a much deeper image.